As the old saying goes, a picture is worth a thousand words. Our remote support software allows our engineers to see the problem as it occurs. This eliminates the need for a user to try and explain what problem they are experiencing. Getting support should not require re-configuring firewalls or modifying numerous settings in a user’s operating system. Our remote support software allows us to connect to desktops or servers running Microsoft Windows, Apple OS X or various Linux distributions. We can assist you even if you are behind a firewall, and all from a web browser. Once a client’s issue has been resolved, the support session is ended. Once a support session has ended an engineer is no longer able to connect to a users desktop for their security. Click on your representative’s name. Once you have clicked on your representative’s name (and depending on which web browser you are using) you will be prompted to either save or open our remote support software. You can either run it directly or download it to a location on your hard drive. If you downloaded the software, navigate to the folder you saved it to and execute the file by double-clicking on it. In a few moments, the client will negotiate a secure SSL connection between your desktop and your support engineer. Depending on your operating system’s configuration, you may be prompted to elevate your engineer’s permissions and access. Please do so. Once your representative is connected, they will be able to see and control your computer remotely. Once the remote session is ended you will have the option to remove the remote software components from your system. Please note that once a remote support session has ended, your representative is unable to connect to your computer any longer. 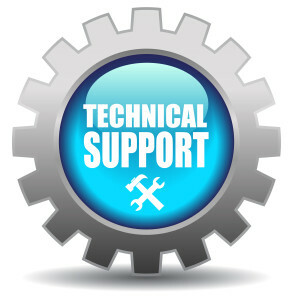 Any future support sessions will require an end user to re-establish a secure connection for safety and security purposes.